The Mixed Martial Arts conspiracy gates busted wide open Thursday night when Yahoo! Sports reported Zuffa, LLC, the parent company of the UFC and WEC, filed suit against semi-rival Bellator Fighting Champions and MMA power agent Ken Pavia for exchanging top secret Octagon info. Please click HERE if you missed last night’s news. When Kevin Iole’s story hit the Internet, Bellator founder Bjorn Rebney was deferring all questions to company attorney Patrick English, who said he needed to gather more information on the lawsuit before commenting. It was a statement echoed by Pavia. While most were dreaming of the weekend before their work alarms started blaring, Bellator brass – and most likely Pavia – were scrambling throughout the night trying to get their ducks in order. On Friday afternoon, the start-up MMA promotion finally broke their silence and released a statement in their own defense. Zuffa seeks actual and punitive damages and a permanent injunction barring Bellator or Pavia from using Zuffa’s assets, including its intellectual property. Also included in the law suit are unnamed corporations and persons Zuffa believes participated in the Oceans 11-esque heist. “I’ve looked at the paperwork, and I understand what’s going on here, and it is literally much ado about very little. 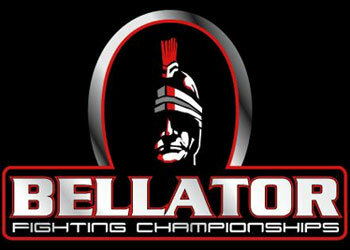 There were documents sent by Mr. Pavia to Bellator, but they are not of a competitive nature and they would give no advantage or disadvantage to the viewer. The bulk of them in no way, shape or form would be considered confidential and are not what I consider to be documents that Zuffa should be concerned about. Yo Dana White, can you please check your voice mail?